Green is a refreshing color. Green is inspired by the color of most of the plants that will show nature vibe. It also has clean and calming effects for us. 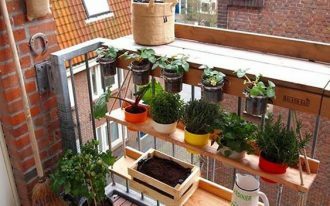 You can apply green color to your home. 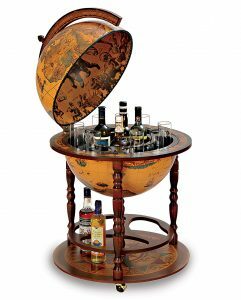 For the exterior or interior feature. 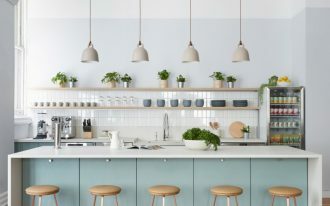 Besides getting some green furniture pieces to add green color to your home, you can paint your wall with the green color or buy green wallpaper. A dining room with the green wall or furniture pieces will look unique and stunning. 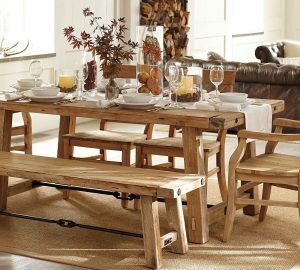 Here are some inspiring green dining room ideas that will inspire you to make a great dining room. 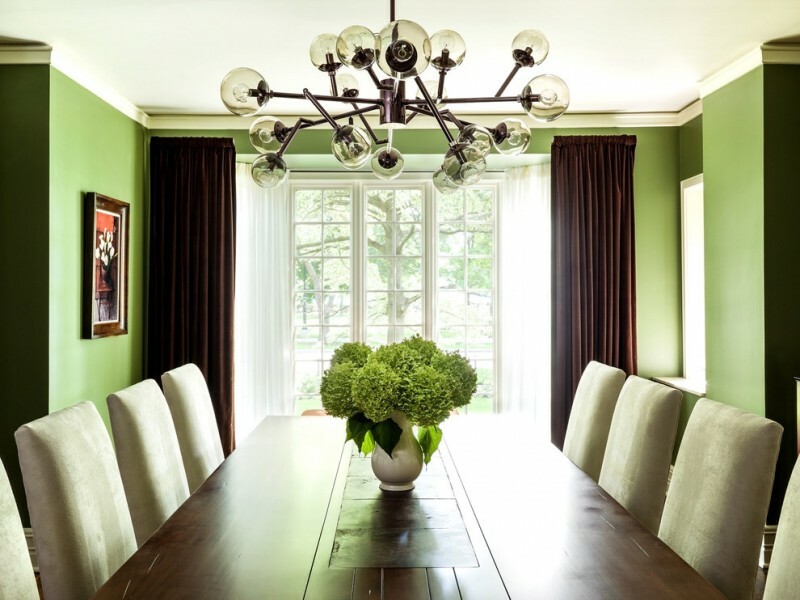 This green dining room is gorgeous. You can also add a warm white of the wainscoting and trims color throughout this dining space. A chandelier, an artwork with gold frame, and the furniture give a glamorous touch. 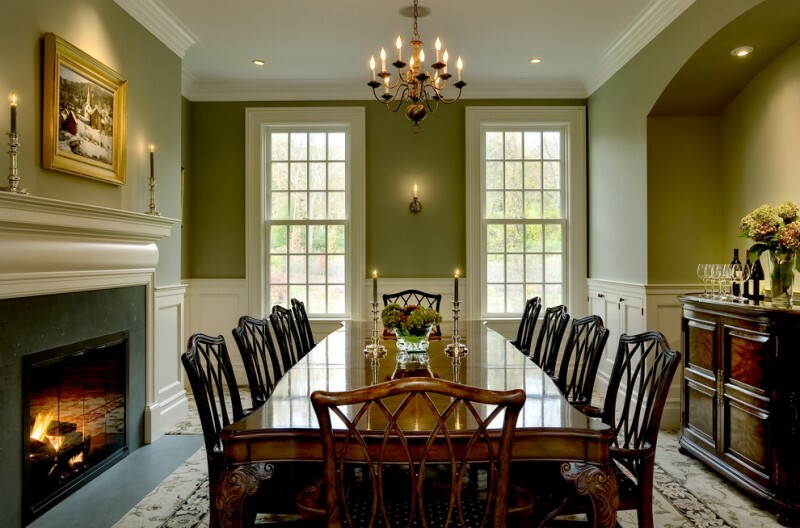 This lovely dining room features a round glass table, green chairs, green walls, and green window shades. 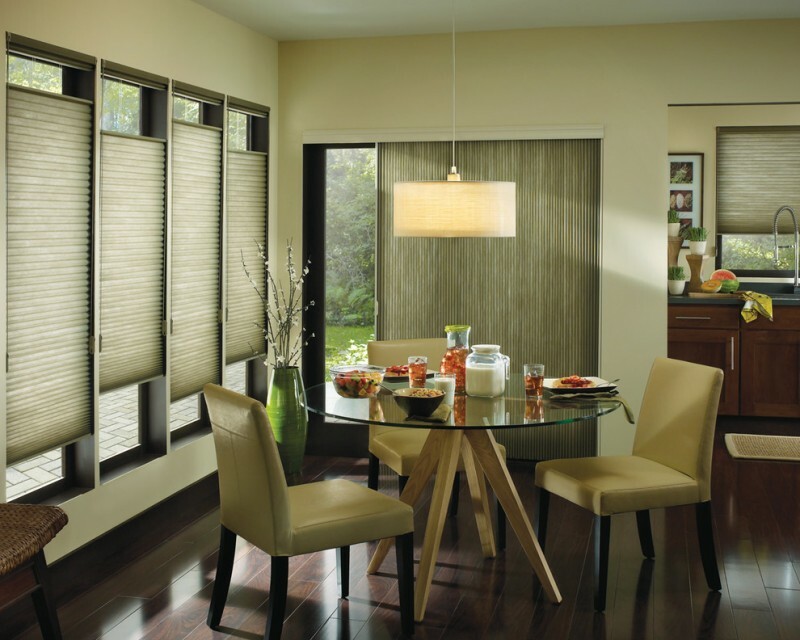 The green window shades are Hunter Douglas shades. 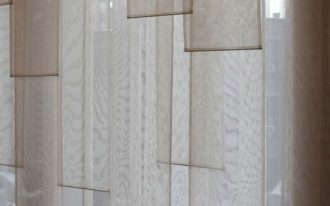 Everyone will love the subtle striped pattern on the window shades. This dining room green wall that is decorated with bird prints on it. There are purple and white chairs and blue and purple flowers arrangements add more colors in this dining room. If you don’t want to paint the wall with green. 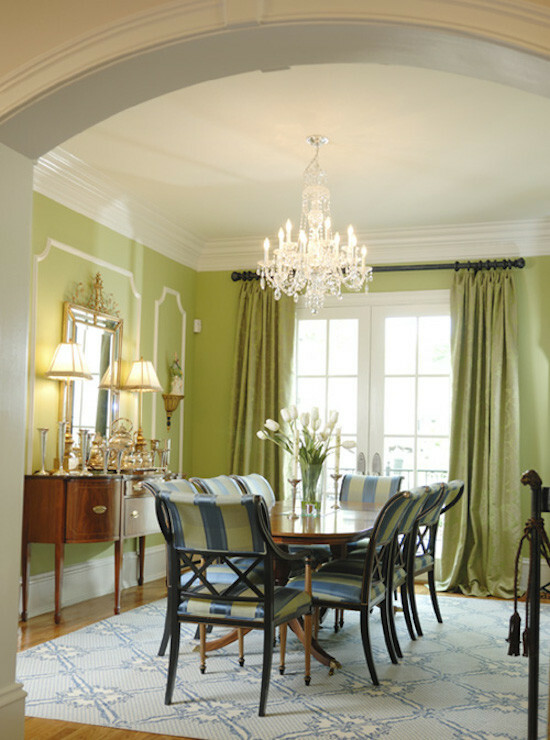 You can choose green leathered dining chairs and green curtains to fill the dining space. 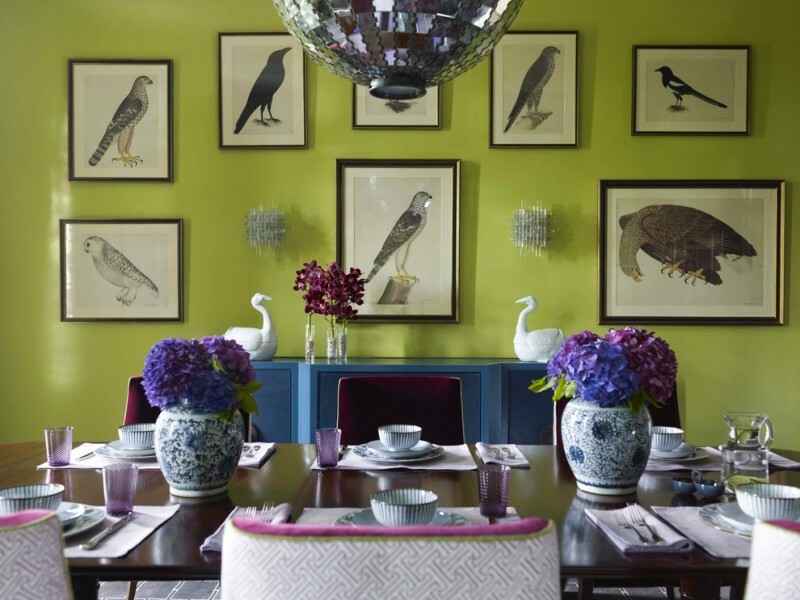 It is better to arrange the dark color dining room with this pop color. 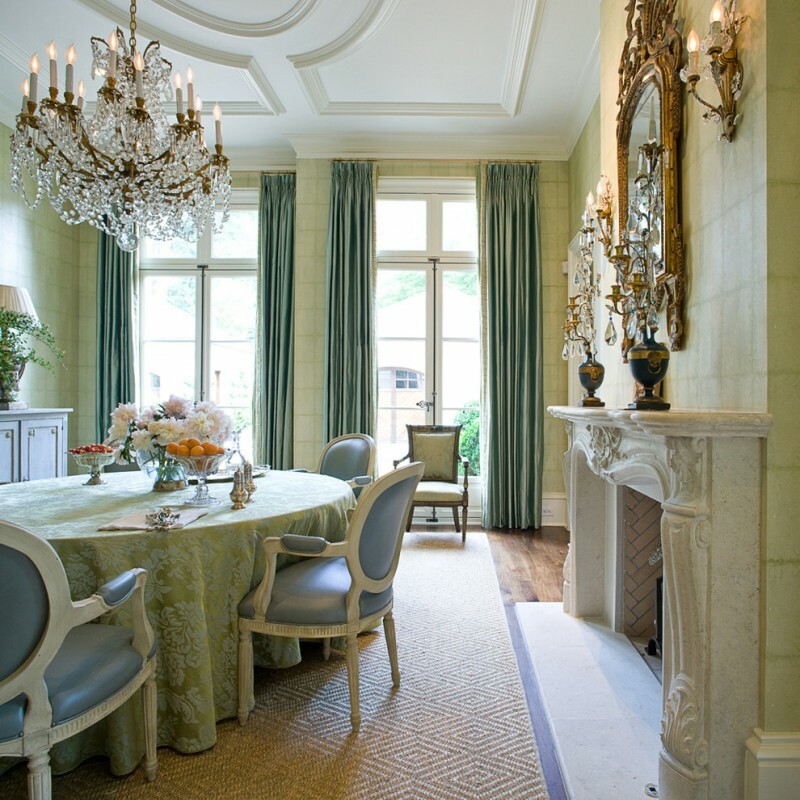 This classic dining room features a classic wood dining table, classic dining chairs, a beautiful chandelier, green table lamps, and green walls with gold accent and classic wall treatment. The green and blue stripe dining chairs make this dining room feel cozy. It is a perfect combination of the pastel green wall and green drapes. The color of this dining room can be selected to create a calming room. You will love how the dark brown velvet curtain panels create this drama against the leafy green dining room walls. 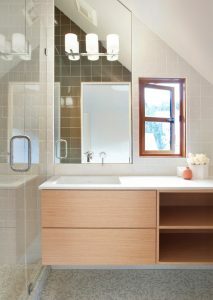 This room features a custom wood table designed for 10 people. This gorgeous dining room features round table with green tablecloth, dining armchairs, a crystal chandelier, white french doors, with drapes, fireplace, an antique mirror, and antique wall sconces. 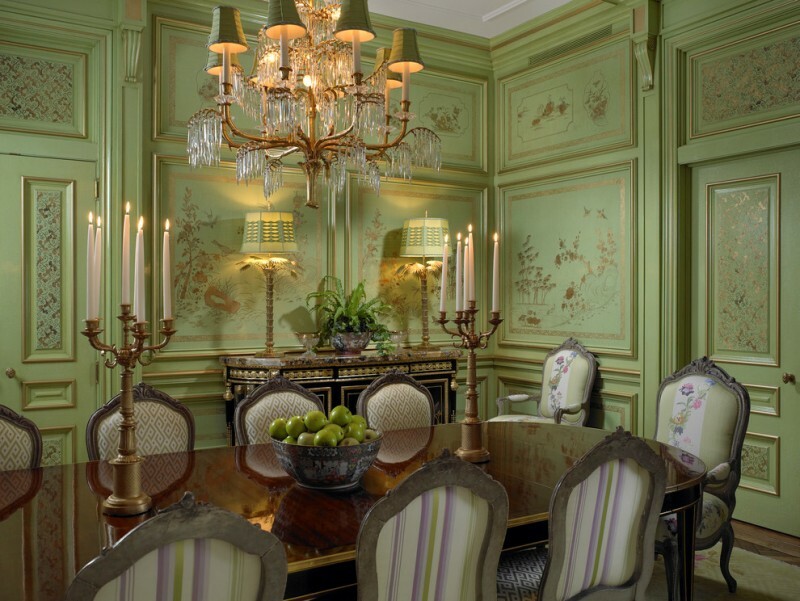 The green wallpaper with gold accents cover this dining room walls. This dining room creates a vintage feeling. The silhouette frames decorate the green brick walls. 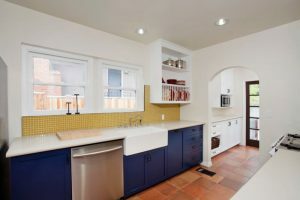 This room provides a corner banquette seating, dining chairs, and wood dining table with storage underneath. 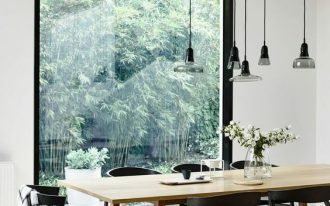 This green dining room features a black wooden table, black leathered chairs, window bench with white cushion, Foscarini big bang suspension lamp, Artecnica surprise mirrored lamp, and carpet tile. The chairs are placed facing the white window. This dining room really looks fresh.